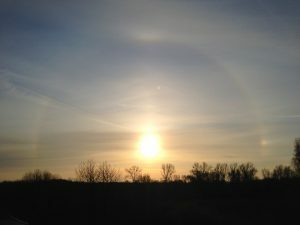 A halo and sundogs, and you can sort of see the upper tangent arc. Taken today at 7:45am from our balcony. Hope you have a sunny day! This entry was posted in My photos, Physics, Science on April 6, 2018 by Andrea.